So Saturday, Tuesday and today Wednesday the weather has been slowly getting on the boil. Easily hitting 24C by 08:00 in the morning this morning. Which means we have to start to worry about density altitude. The air is hot and thin and the plane doesn’t fly so well. 3000ft runways that you could jump off in 800ft or less in the cold of winter are now 2000ft stretches. Short Field technique to get out is beginning to be for real and short field to land the same. Have to do the math. Wind direction, strength, crosswind, headwind, airport altitude, temperature, dewpoint and humidity. Runway slope and condition. Suddenly that spreadsheet I labored over this winter because I thought it might become useful really is. 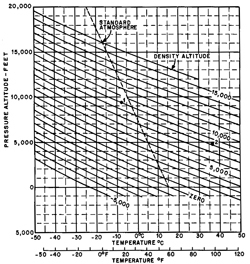 Instead of 10 mins with a calculator and 3 sets of tables and all the chances of mistakes – you punch in the numbers from the field weather report and it gives you an immediate runway length needed and abort point as well as expected take off run and distance needed to get over the 50ft trees at the end. Newport (where we practiced today) may be at 147ft altitude – but the air today calculated as 1,400ft it was so warm. At 13:30 in the height of the day it is now 1960ft. Take Off – 1112ft roll, 1899ft to clear the trees, Abort at 1500ft roll if plane not doing 38.5 knots – it ain’t going to fly. We even leaned the mixture slightly prior to take off and got an extra 100rpm and 5% power. The air was thinner and the mixture could be leaned. Vx hard climbing out – Flaps 10 and supposedly at 57 knots but in practice at 60 for safety as the warm turbulence can leave you a few knots short – also an exercise in speed control. Constantly chasing the airspeed as the air swirls around the wings. Landing – Total of 1297ft needed to clear 50ft trees and get down with a 559ft roll included – with heavy braking. We stayed off the brakes to save them and managed 1600ft stops. Getting in over the (usually theoretical) 50 ft trees at the end of the runway need not be pretty – just a smart drop in and flare onto the main wheels at slow speed, flaps up to transfer weight from the wings to the main wheels and heavy braking to stop. Saturday I was sort of getting it. Monday I had the sight picture of aiming short of the runway and diving slightly while flaps full down and power off to hold her at a sinking 62 knots then flaring in over the end of the runway to sink her in. I had it in my mind but not happening very often. Today – they were dropping in to Practical Test Standards – even with cross winds. I had the speed control. The last one my instructor had me do all power off from 900ft to control it all the way down. By 10:00 we climbed slowly like a dog out of Newport and crawled home to Providence. Been an interesting three lessons. Tomorrow’s density altitude threatens to be even higher. Speed control, Speed Control, Speed Control….